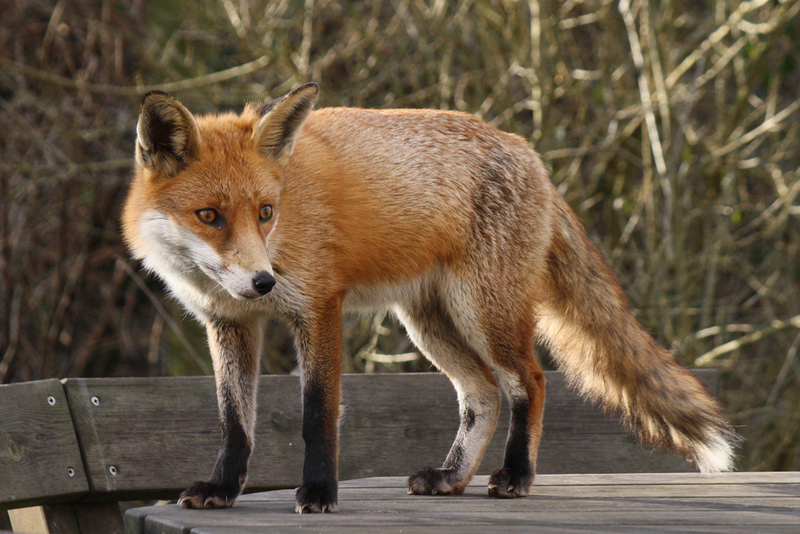 Red foxes have been recorded in habitats throughout the UK. Their natural habitat is dry, mixed landscape, with scrub and woodland but more and more are being found in urban areas. Injured foxed need sponsoring. Red foxes are solitary hunters who feed on rodents, rabbits, birds, and other small game. They will also eat fruit and vegetables, fish, frogs, and even worms. They face threats due to habitat degradation, loss, and fragmentation, and exploitation. Like a cat’s, the fox’s thick tail aids its balance, but it has other uses as well. A fox uses its tail (or “brush”) as a warm cover in cold weather and as a signal flag to communicate with other foxes.